The Fringe Theatre Adventures presentation of Reckoning is supported by the Canada Council for the Arts. Glen Gould – Mi’kmaw, Membertou N.S. fight choreography by Casey Hudecki, 2007 winner of FDC Paddy Crean Award. 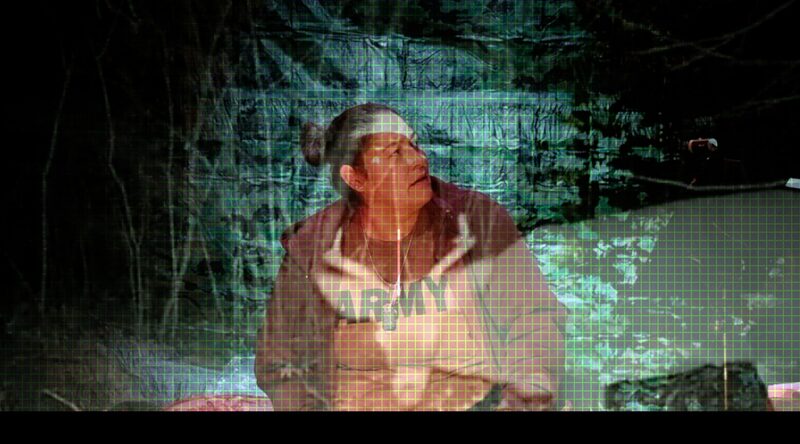 A triptych in movement, video and text, Reckoning is an incendiary theatrical presentation of three separate experiences with Indian Residential Schools, the Truth and Reconciliation Commission, and the fallout that has already reverberated across the country. WHO: Tara Beagan, Andy Moro, PJ Prudat, Jonathan Fisher, Glen Gould John Ng, Paul Chaput, Lina Cruz, Casey Hudecki and Brittany Ryan. ARTICLE 11 gratefully acknowledges the funders making this work possible. In developmental writing phase, Beagan was supported for Reckoning in its early title RECONCILIATION by the Ontario Arts Council’s TCR recommenders fu-GEN Theatre. RECONCILIATION received workshop production support from the OAC and the Canada Council for the Arts. INFORMATION ON THE ONISHKA PRODUCTIONS PRESENTATION CLICK HERE. Photo (below) of Marcel Petit and Tara Beagan in Part 2: Daughter by Adrian Morillo from Onishka Productions’ Contemporary Indigenous Scene.